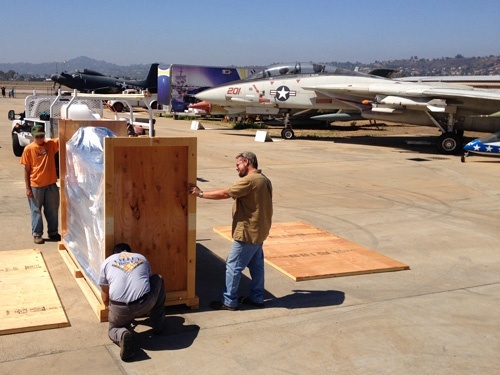 Valley Box a local San Diego crating and packing company, performed on-site packaging at the San Diego Air & Space Museum in Gillespie field. 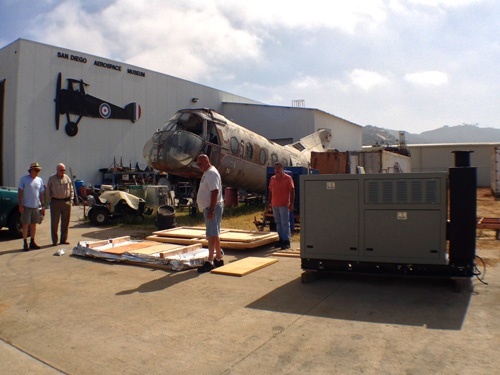 From a small one-hangar beginning, the San Diego Air & Space Museum’s annex at Gillespie Field has grown to become an integral part of the Museum’s aircraft restoration and replica reproduction program. Staffed mainly by volunteers, the Facility has produced some of SDASM’s finest work. I want my own custom packing crate! 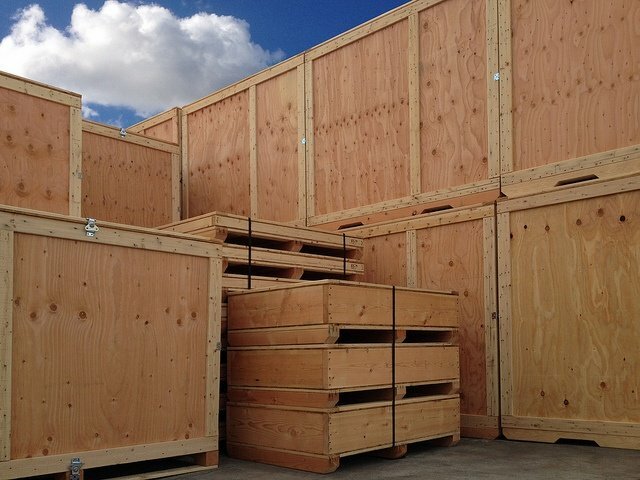 The Valley Box packaging experts were brought in by Alturair to design a wood packing crate and vapor barrier bag in order to protect a jet fueled generator destined for a school campus. 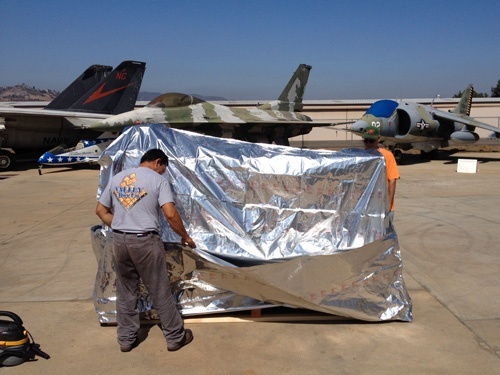 The generator had been meticulously refurbished by Alturair's skilled engine technicians. The Valley Box pack crew brought all the tools necessary to properly package and secure the generator. The vapor barrier bag was placed under the generator before it was bolted to the wood packing crate deck. Desiccant, a substance that sustains a moisture free environment, was added before the matching top portion of the bag was slid over the part. Using a heat sealing machine the seam of the top and the bottom of the bag is sealed leaving a small hole in order to vacuum out the remaining air. The bag is then shrink wrapped to secure any loose bag material to prevent tears. After the vapor barrier bag preservation packaging is in place, the crew can lag screw on the sides, ends and top of the wood packing crate. Whether on site or at our location, one of our expert packaging technicians has the knowledge, experience, equipment and materials to package your product properly and in a timely manner. Valley Box believes in providing the best customer service. In order to do that we need to make sure our paperwork is correct, the deliveries are on time and most importantly the communication between customer and our office is timely and accurate.